RealDownloader is a popular video downloader to help you download videos from many popular streaming sites, including YouTube, Vimeo and Dailymotion. Downloading Videos with RealDownloader is easy: you will have a download button on the browser, allowing you to download the video from your browser directly. RealDownloader is highly integrated and compatible with Windows Internet Explorer browser. However, RealDownloader might stop working sometimes. And RealDownloader is not working on Mac Safari. So there is no RealDownloader for Mac available. 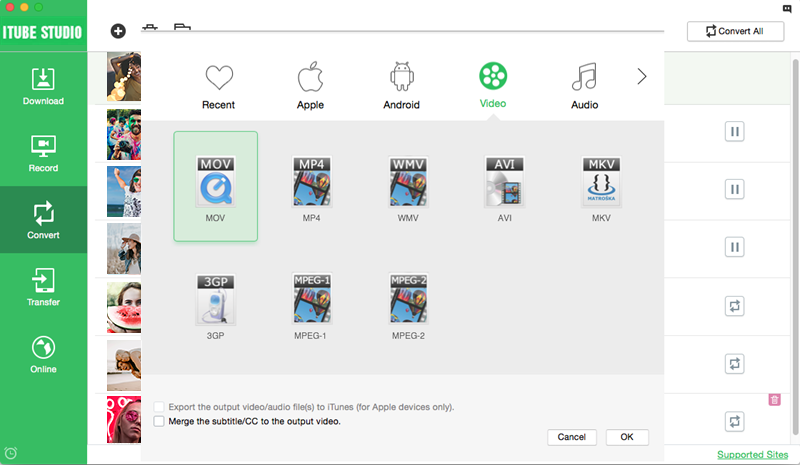 For Mac users, you need to get help from alternative to RealDownloader for Mac to download videos. Here is the best solution for you. You can download videos from YouTube, Facebook, Instagram, and 10,000+ sites. It enables a download extension to help you to download videos from your browser. You will have built-in browser to access and download the videos directly in the program. It helps you to convert the videos to any video and audio formats. You can also preset the video download to iPhone and Android devices. It allows you to transfer the videos to your iOS and Android devices conveniently. Free download the program on your Mac. And then drag the program icon to the "Applications" folder to install the program on your Mac. And then launch the program. After you run iTube Studio-RealDownloader for Mac alternative and play online video on Safari or Chrome, you can download the video in your browser. 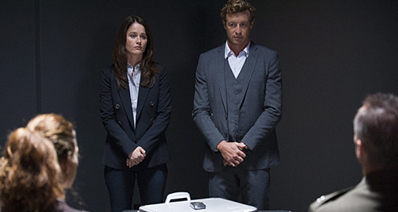 You will get a big "Download" button on video window, shown as below picture, click it to download video. Alternatively, copy the video URL and go to the main interface of iTube Studio for Mac to click "Paste URL" for downloading. Once downloaded, you may find that the video is not in a suitable format, especially if you want to view it on a mobile device of some kind, and here iTube Studio can convert any file, again, very simply. First add the downloaded videos to the "Convert" menu. In the "Downloaded" tab, you can click the "Add to Convert List" icon to add the videos to the convert list. Next open the "Convert" menu. Simply click "Convert" for the video you wish to change to go to the conversion menu, where there are several tabs for different kinds of device and formats. Click "OK" and the file will be converted immediately. As we discussed that the RealDownloader is useful in some situations but it has some limitations. Even though this download manager has a very simple interface yet you will need the Plus application for advanced features. As the RealDownloader is only available for Chrome in Windows, we will need some other tools as alternatives for RealDownloader. And just now we introduced the iTube Studio-best RealDownloader Mac alternative to you , next, here are some more RealDownloader alternatives for Mac and Windows that would allow the users to download content from various websites. 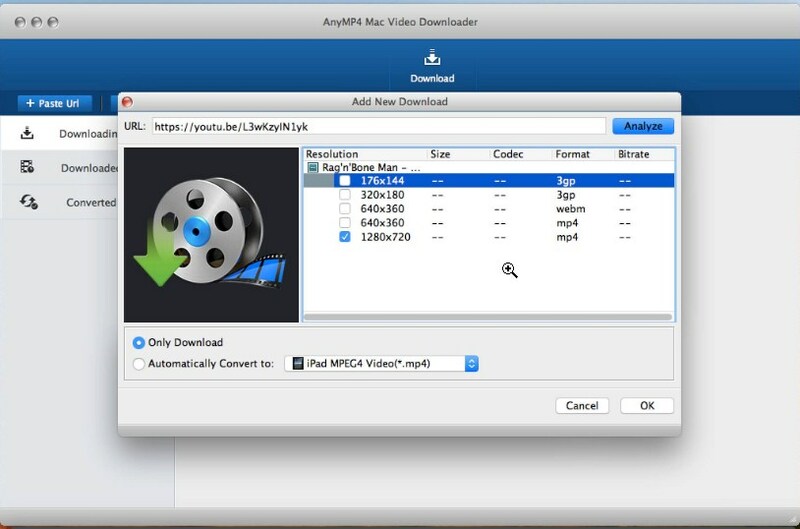 As a RealDownloader alternative for Mac, the users are free to try out AnyMP4 Video Downloader. This tool will allow you to download videos from various online websites so you will never need a plugin or extension for video downloading. Now download the 4K/HD videos in just one click. You can also download mp3 with the help of this tool. It can change video formats for various devices. It only works on Mac OS X 10.6 or above. The program’s audio format support is not good. If the RealDownloader is not working in Chrome browser on a Mac PC, then you can also try 4K Video Downloader. This alternative to RealDownloader for Mac can save an entire playlist and channels from online websites. The latest videos will be automatically downloaded and you can also extract subtitles from the YouTube videos. It can also download the 3D video. There is an In-app proxy setup. The software consists of lots of ads. Unless you buy the Premium version, there will be no update available for your software. If you can’t use RealDownloader in Chrome on Mac then it better that you download the AnyVid Video Downloader. The software can download gaming videos, sports videos, movies, new videos and much more easily and quickly. Plus you will get a simple video editing tool that can cut and convert local video. The software can batch download videos. The interface is optimized very smartly. A Video Player is also integrated within the application software. The program only supports Mac OS X 10.9 or above version. Instead of trying to install RealPlayer for Mac, use the Total Video Downloader and get efficient software which is available for almost every Mac OS version. Whether you have Mac OS X 10.8+, El Capitan, Yosemite, Mavericks, or any other, the software can be used on all. The software offers ultrafast speed to download videos. It also supports batch downloading. The software produces a very degrading and substandard video when the default settings are used. Price: 1 year for 1 PC-$19.00, 1 PC for Lifetime-$29.00, 2-5 PCs for Lifetime-$72.50. As RealDownloader is not available for Firefox, therefore it will be better if you download the Wondershare AllMyTube software on your system. It can quickly download videos from over 10,000 video hosting and sharing websites. 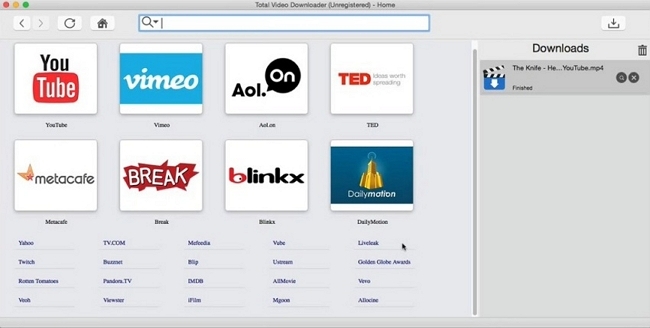 With this tool, you will have offline access to unlimited videos. The software also serves as a video converter. The software has relatively few optimization profiles. 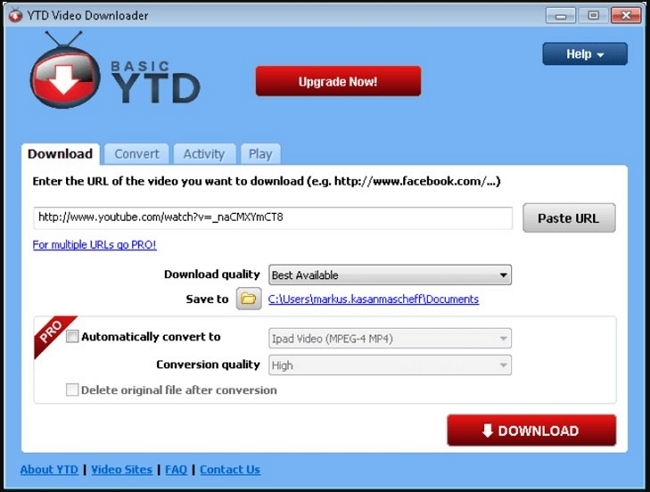 Freemake Video Downloader serves as the most ideal alternative for RealDownloader Chrome plugin. The software will allow you to download videos from over 10,000 websites. Get the best quality videos with this tool and save as many videos as you want on your device. It also allows you to upload the videos in cloud storage. It can also restore the broken clips. The software can’t download videos longer than 3 minutes. There are lots of ads in the program. In case the Realplayer Downloader is not working in Chrome, you can choose ClipGrab to download videos from various online websites. It is a very popular alternative to RealDownloader for Windows for the users as it is entirely free and can be used to download a variety of videos in different formats. The software can even run a recognition system for websites which are not officially listed in the supported sites. The software undergoes a lot of technical changes which results in compatibility issues. The YTD software serves as a perfect alternative to RealDownloader. 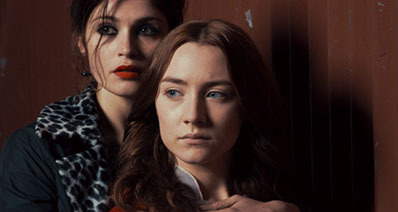 The software has the features of a converter and a media player altogether. You can download any video from YouTube and other social media platforms in HD quality. You can download and convert videos in any format to use them on any device. The software makes it easy and fast to download videos. A Free Video player is also integrated with the software. Whilst Real Downloader does the basics well, as a software package it is missing some elements that users would perhaps need, notably conversion tools to ensure you can watch your downloaded content on your chosen device. In addition, it is incompatible with Safari browser and Mac OS X (EL Capitan included). And Firefox has blocked RealDownloader plugin. Perhaps the biggest stumbling block for RealDownloader and why many will look for an alternative is that RealDownloader has been discontinued and thus cannot be downloaded anymore, which in the meantime causing realplayer downloader not working problems. Issue # 1: RealDownloader Stopped Appearing on Firefox - It's a pretty common issue when the RealDownloader doesn't show up while you're browsing the streaming websites. Plus, if you're using Firefox browser, this issue is more prevalent & recurring. Solution # 1: In order to avoid this problem, perform the following steps. Navigate to Firefox >> Tools >> Add-Ons >> RealDownloader Plugin.plugin. Next, enable this plugin & RealDownloader should work now. Issue # 2: RealDownloader Stopped Appearing on Safari - The similar issue can be also observed if you're using Safari browser on your Mac. This is a well-known & repeated issue. Solution # 2: In order to overcome the aforementioned issue, you will need to perform the following steps. Navigate to Safari >> Help >> Installed Plugins >> RealDownloader Plugin.plugin. Once you've verified that the RealDownloader plugin is installed on your Mac, perform the following steps in order to enable the RealDownloader plugin. 1. Open Safari & from the top left corner of this browser tab, click on Preferences. 2. Now, click on Security icon. 3. Under Web Content, verify if "Enable plug-ins box" checkbox is checked for RealDownloader. Issue # 3: RealDownloader Doesn't Detect Videos - Sometimes, Real Downloader for Mac doesn't necessarily detect videos & throws you an error that there're no such videos to download on this webpage. It's a pretty frustrating issue. Solution # 3: If the users face the aforementioned issue, they will need to restart RealDownloader. Plus, as a user, you will need to reinstall the application or you may need to restart your Mac to overcome this issue. Issue # 4: RealDownloader Can't Covert Videos to Other Formats - This software doesn't come with video conversion features. Thus, you can use this tool in order to convert videos. Solution # 4: If you really need a right tool in order to download video contents & further convert those videos for sharing or uploading, then you should look for an alternative video downloading software. Issue # 5: RealDownloader Tool Has Been Discontinued - The makers or developers of RealDownloader tool have discontinued this software & thus it can't be downloaded anymore. Plus, there are no such official supports & users still get frustrating errors while using this tool. Solution # 5: Probably, this is the biggest stumbling block about RealDownloader. And, that's why most of the previous users are already looking for an alternative to this tool. In this article, we have discussed the best RealDownloader alternative for Mac-iTube Studio and the detailed guide to use it . Besides, we also introduce other 8 Best alternatives to RealDownloader for Mac and Windows for your reference. Afterall, choosing a proper one will help you a lot. For us , we highly recommend iTube Studio-RealDownloader for Mac alternative as it offers more functions and the downloading speed is faster. Just get a free trial and enjoy your videos!